Ranking member of the House Intelligence Committee and resident clown Rep. Adam Schiff (D-CA) is obsessed with the Trump-Russia collusion hoax. 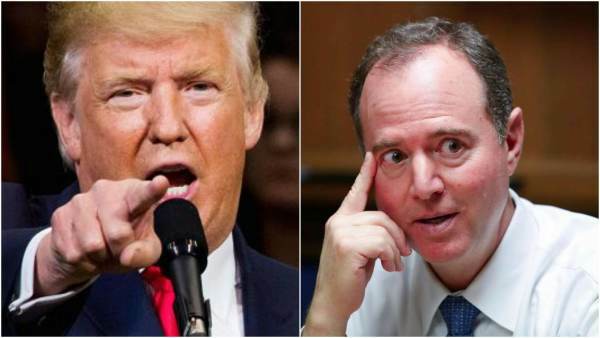 Schiff is so obsessed that he is desperate for there to be any connection involving Trump and Russia that he fell for Russian pranksters claiming to have naked pictures of Donald Trump. Old Schiffty then told his staff to collect classified materials for the FBI. This is more humiliating than Twitter smacking down his claims Russian bots were pushing the #ReleaseTheMemo campaign online. Its existence was first reportedby The Atlantic but not how a staff member working for the minority on the House Intelligence Committee pursued the information after the call.